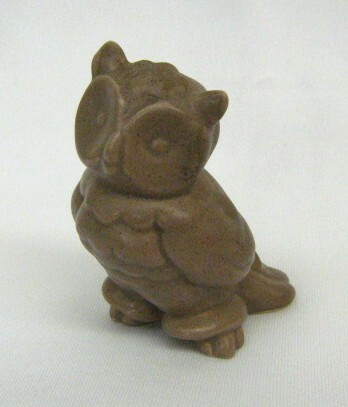 Kay Finch of California Pottery brown and gray medium owl figurine. 5.75 inches tall. Space 41, inventory Z138. $29.50. 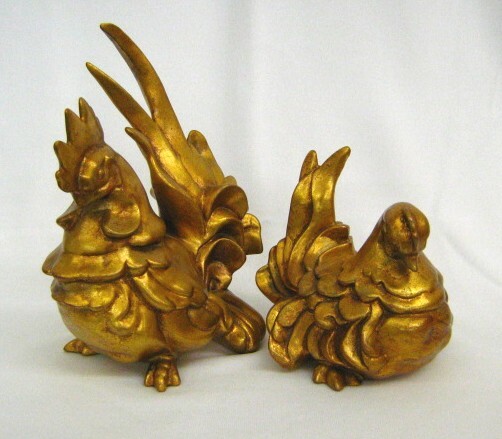 Kay Finch of California Pottery RARE “Butch & Biddy” rooster and hen figurines in gold leaf glaze. Butch: 8.25 inches tall; Biddy: 5 inches tall. Space 41, inventory Z957. $295.00 pair. 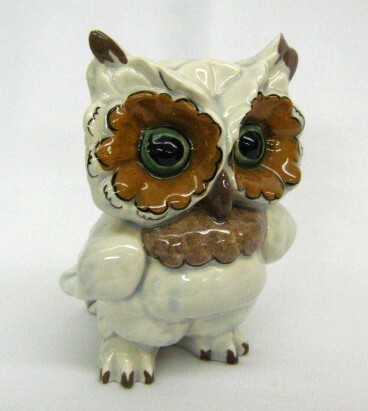 Kay Finch of California Pottery sand color small owl figurine. 3.75 inches tall. Space 02, inventory S168. $68.00. 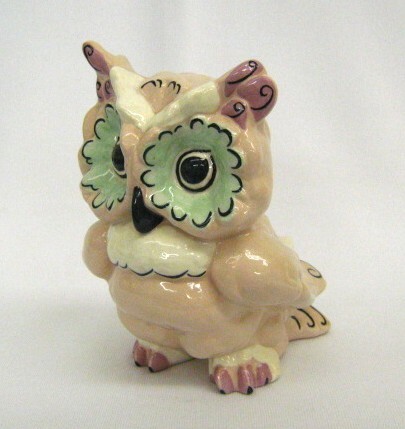 Kay Finch of California Pottery pink small owl figurine. 3.75 inches tall. Space 14, inventory B145. $19.50. 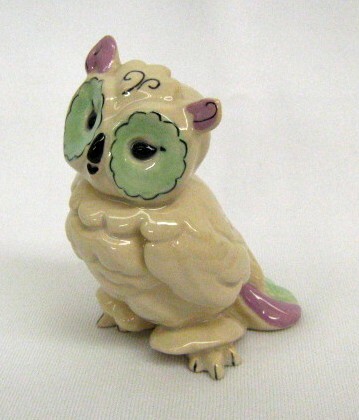 Kay Finch of California Pottery pink and green medium owl figurine. 5.75 inches tall. Space 92, inventory 024. $85.00. 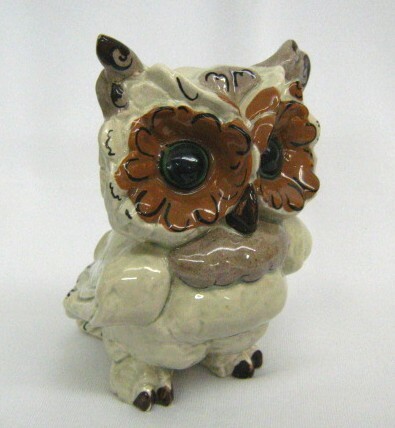 Kay Finch of California Pottery brown and gray medium owl figurine. 5.75 inches tall. Space 66, inventory 1529. $85.00. 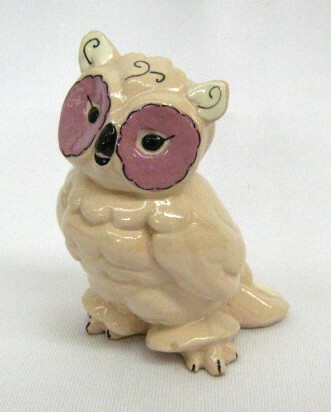 Kay Finch of California Pottery pink small owl figurine. 3.75 inches tall. Space 66, inventory 833C. $18.00. 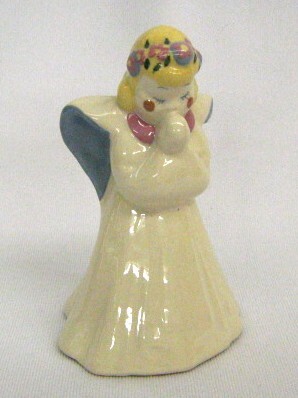 Early Kay Finch of California Pottery small angel figurine. 4.25 inches tall. Space 63, inventory KF051. $75.00. 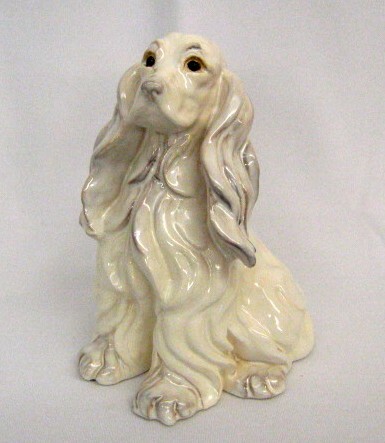 Kay Finch of California Pottery large cocker spaniel dog figurine. 8.5 inches tall. Space 63, inventory 050. $350.00. 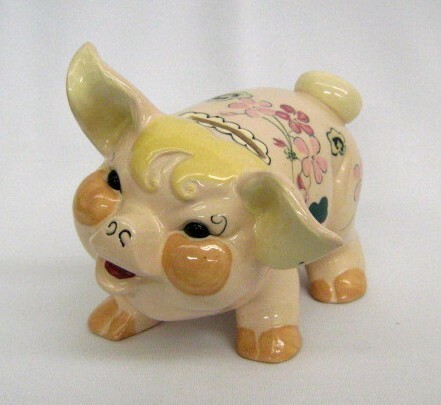 Kay Finch of California Pottery pink figural pig bank. 5.5 inches tall. Space 55, inventory 1212901. $125.00. 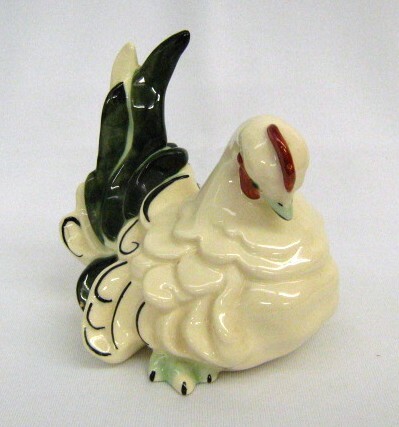 Kay Finch of California white, red, and green Pottery “Biddy” hen figurine. 5 inches tall. Space 55, inventory 31603. $85.00. 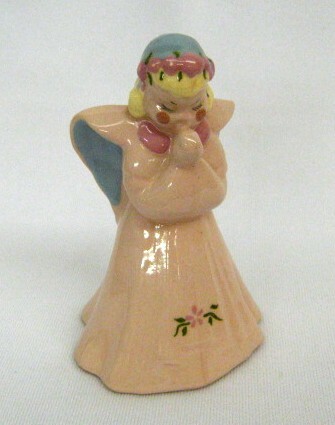 Early Kay Finch of California Pottery small angel figurine. 4.25 inches tall. Space 72, inventory 1508. $38.00. 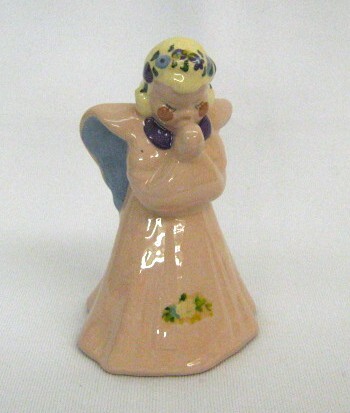 Early marked Kay Finch of California Pottery small angel figurine. 4.25 inches tall. Space 72, inventory 1509. $45.00.